This chapter looks at identity through the lens of religion. Religion was used for conquest, creating kingdoms and building empires in the region we now call the Middle East, and beyond. 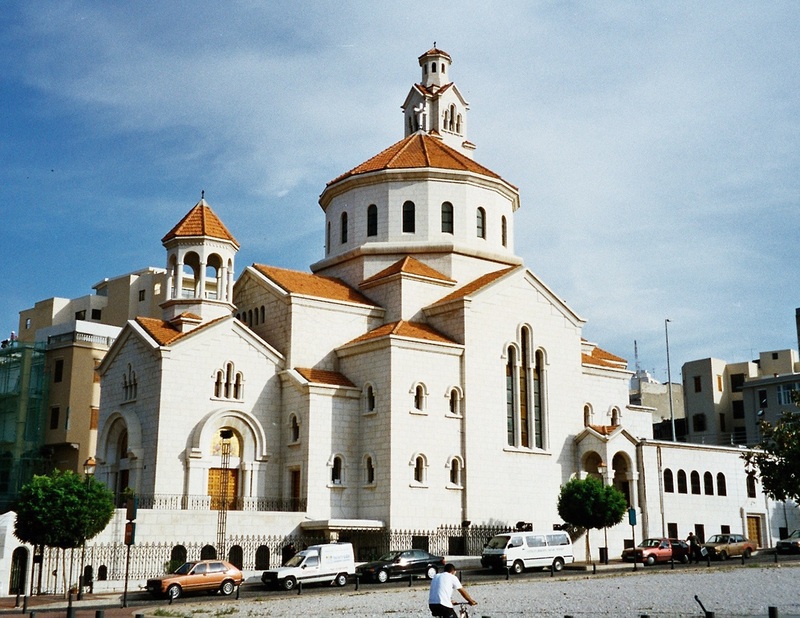 Religion has been and remains a powerful force in the Middle East, not just for members of one religious community, but as a cultural influence affecting everyone. We will provide an overview and comparison of the Abrahamic religions of Judaism, Christianity and Islam, and go into more detail about Islam. Zoroastrianism and the religion of Ancient Greece influenced those religions and have both had a major influence throughout the world. 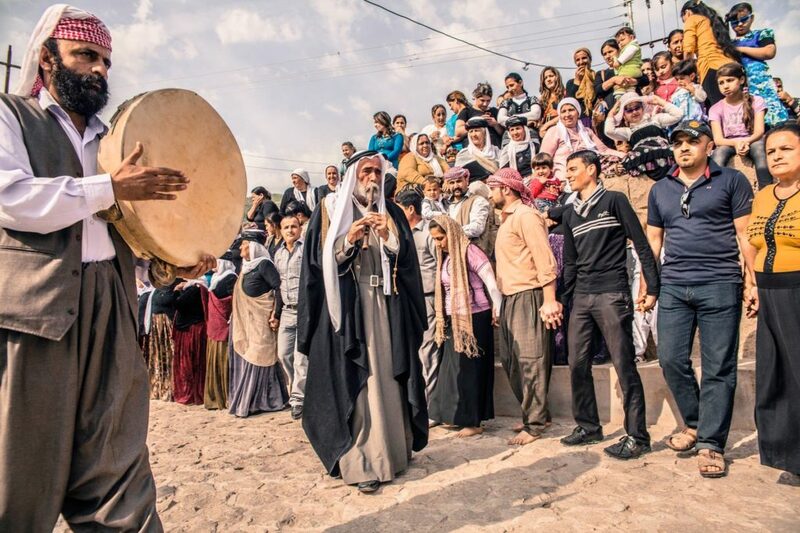 Prayers and ceremonies during the annual spring celebrations dedicated to the shrine of Mohamed Rashan where many Yazidi’s families, each from different villages, pay their visit to the servant of the temple and his family offering him food and donations. This is one of the most important celebrations of Yazidis. They camp together in wide grass fields, pray and dance typical music played by the Kawals using the 2 typical instruments, the Daf (frame drum) and the Shabbabi (flute).” Caption and image by Giulio Paletta, LUZ Photography, All rights reserved. Sultan Ahmet, or “The Blue Mosque” in Istanbul. 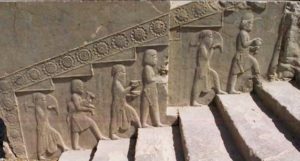 Depiction of Zoroastrian Equinox ceremony from the Persian Achaemenid Empire. The cover of this e-book depicts the Tachara Palace in Persepolis where these celebrations would take place. 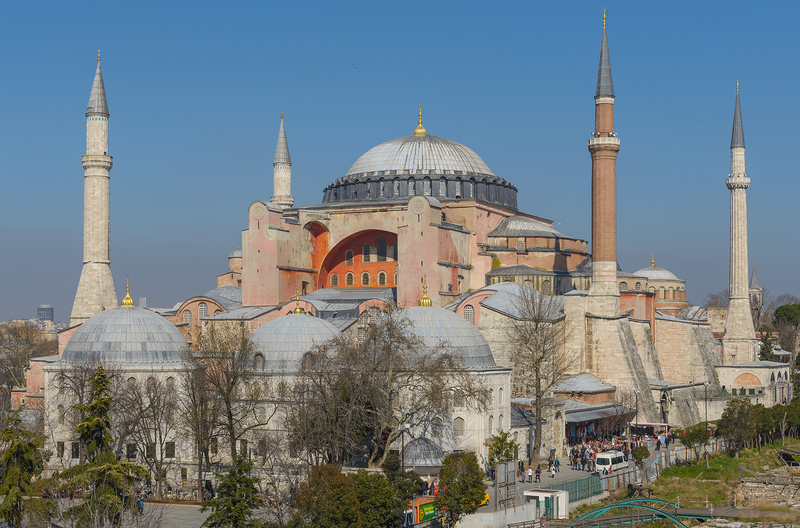 The Hagia Sophia church (now a museum) in Istanbul, Turkey. The previous Jesus Christ Mosaic image, was an image taken from one of the inner walls. 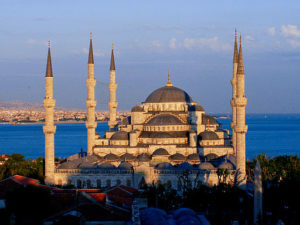 The minarets were added much later, under Ottoman rule. 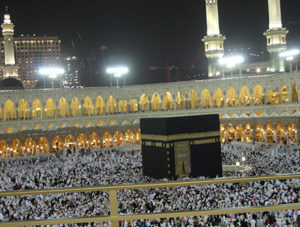 “The Ka’aba in Mekka, Saudi Arabia, the central pilgrimage site, and direction for prayer for Muslims, worldwide. 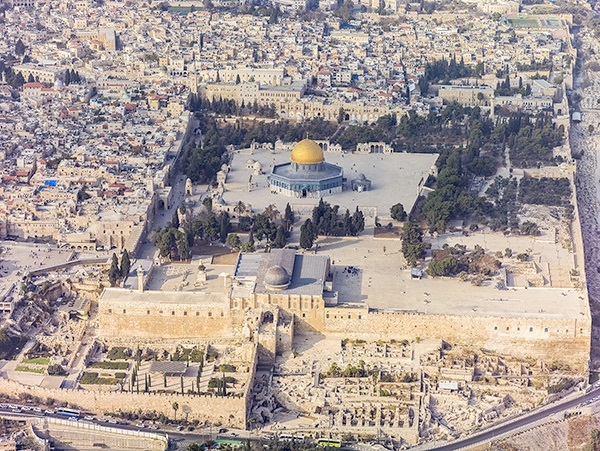 Aerial view of the “Temple Mount”, sacred to Jews, Christians and Muslims. 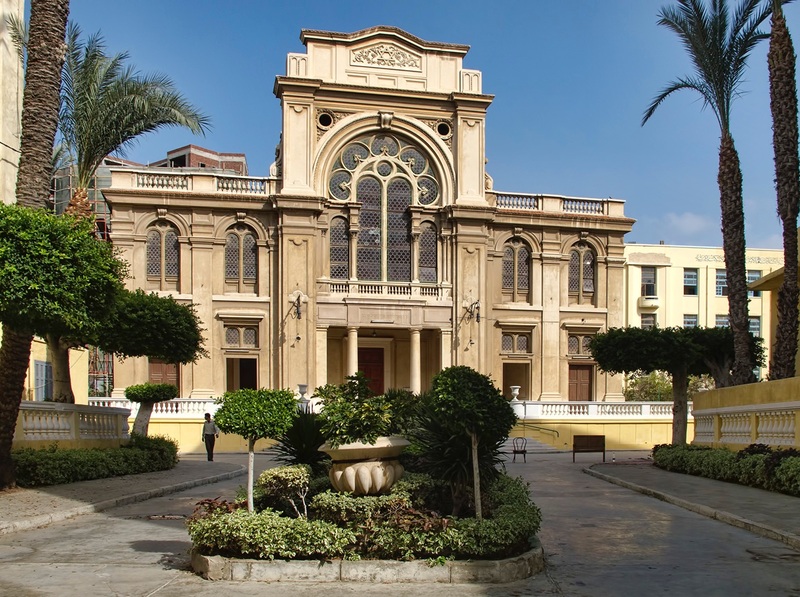 Monotheistic religious beliefs are a major contribution of Middle Eastern peoples to the global religious picture, as well, considering that 55% of the world’s population profess one of the main monotheistic faiths (2.2 b. Christians; 1.6 b. Muslims; 14 million Jews). We refer to these faiths as the “Abrahamic Religions” in this chapter because they each trace their origins to the Hebrew prophet Abraham. All of these religions consider the Temple Mount in Jerusalem (image, right) to be central to their traditions and understanding of spirituality. 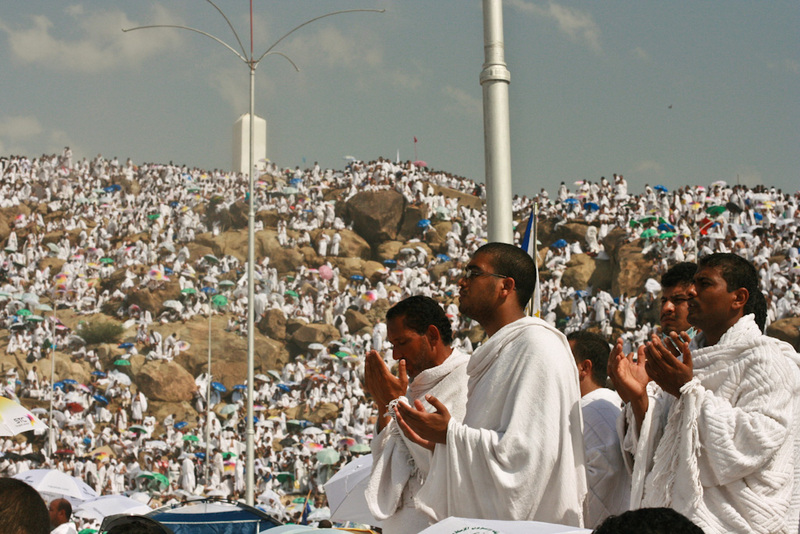 We go into more detail about Islam because of the predominance of Muslims in the Middle East, the impact Islam has had on all members of society (including non-Muslims), and the need to correct pervasive stereotypes about Muslims. The similarities across the Abrahamic religions and other religious groups can be attributed to shared histories, values and cultural practices. Historical ties between groups, shared literature, shared cultural practices and even shared prophets and kings. Cyrus the Great provides an example of religious tolerance from the Bible, while at the same time culturally and religiously diverse Islamic Empires exhibited strong cultural traditions that cut across those communities. Today the Middle East is defined by conflict and antagonism, but there are many shared worldview within these religions, in addition to the differences. This chapter provides examples of tolerance and pluralism from the Middle East, as well. Acquiring knowledge about the religious diversity of the region is equally important. The following information is essential for gaining an understanding of the complexity of religious identity in the Middle East and the world. These identities go beyond the Abrahamic religions, encompassing Zoroastrianism, the religion of Bahai, and other religious minorities. Yazidis (image, above), for example, are a religious group that has been prominently featured in the news recently, but which doesn’t fit neatly into the predominant religious categories (BBCb). Yazidis include Zoroastrian concepts in their theology. Zoroastrians are now a much smaller community, but they trace their history to the Persian civilizations of the past, and continue as a community today, although their numbers are dwindling. Their largest population is in India, and are known their as Parsis. Religion has been a powerful social force in the region because, especially in the past, religious identity has been something closer to an ethnicity in the Middle East, defining one’s cultural identity as well as one’s spirituality. Religious-cultural identity has traditionally defined communities and their self-view. Regardless of the strong cultural group affiliation religious identity can entail in the Middle East, expressions of spirituality are not always from a single cultural standpoint. A diversity of religious perspectives, including secular or humanist ones, embrace both communal and individualized ways of understanding spirituality. Folk traditions are important aspects of religious practice within many of the societies in the region, as well as more monastic approaches. Sufism, for example, has been a path for many who have sought their own unique understanding of God, and we will explore about Sufism later in this chapter. Minority religious communities have also often sustained their own means of legal arbitration and ways of approaching social institutions such as marriage and family. States often allowed these communities quite a bit of autonomy and the ability to apply their own rules, as long as they paid tribute to the state. The millet system of the Ottoman Empire is an example of that, which we discuss under the section “Islam in Middle Eastern Societies”. The millet system was also an acknowledgment of the legitimacy of Christianity and Judaism under Islamic law.